What a beautiful weekend to kick off the month of May! 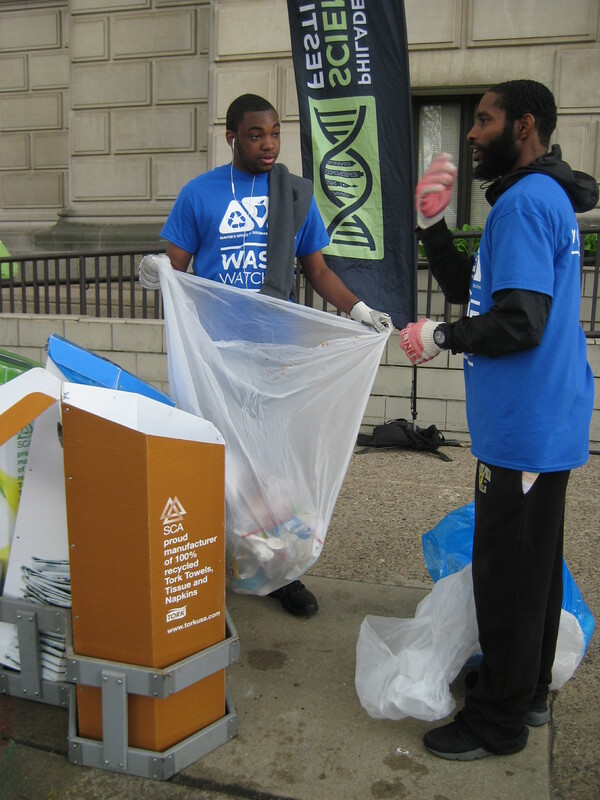 This past weekend, Waste Watchers participated in back to back events with the Science Carnival and Broad Street Run. For anyone who is unfamiliar, the Waste Watchers Initiative is a partnership between the Mayor’s Office of Sustainability and the Mayor’s Office of Civic Engagement and Volunteer Service. The Waste Watchers initiative helps events divert waste from the landfill by educating event-goers and helping them sort their waste into compost, recycling, and trash. On Saturday, Waste Watchers partnered with the Science Carnival to help educate attendees about recycling and composting, and help divert waste! Our wonderful volunteers kept a tally of their bags throughout the day. Out of 149 bags of waste, 110 bags were diverted into recycling or compost—that’s around 75% of the total waste! Thank you to our Waste Watchers volunteers. Without you, everything would have gone straight to the landfill. 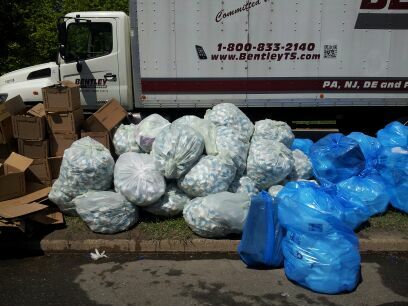 On Sunday, the Waste Watchers team spent the day at the Broad Street Run . The Broad Street Run is unique in that the start and finish areas are at opposite ends of the city, which is great for the runners, as the route doesn’t repeat itself, but it can be a logistical challenge for race planners and coordinators. Waste Watchers had volunteers set up at the start area, along the route at water stops, and the finish to ensure as much waste diversion as possible. Our volunteers did a fantastic job helping the 40,000+ runners and spectators sort their waste to help Broad Street Run be as sustainable as possible.